This section describe the three hand of God in the process of building the Tabernacle as an extension of the creative force of the Creator in the levels below. The above paragraph is strongly connected to the one below. Who brings a child to the world? 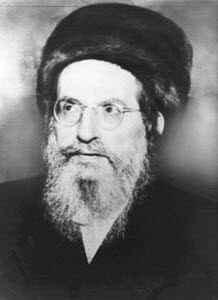 Rabbi Brandwein in his commentary to the Tikunei Zohar, quotes the Kabbalist, The Maggid of Kuznitz that said; The right hand of God, called the Great hand, which is from the aspect of Chokmah and Chessed and injected water from Ruach into Mother, which is Binah. This action cause the Supernal Mother to bring out the five lights in the first day of Creation. This process is called חסידה. Up to here the commentary of the Maggid of Kuznitz. Explanation; חסידה, literally translates to Crane but we also see the word חסד, Chessed and יה YH. YH is the letters of the name that represent Chokmah and Binah, that gave birth to Zeir Anpin. The Supernal Binah, upper H of the name, is the creative force in this world. To draw that force, the male need to bring his water from the level of Ruach to the vessel, inject it with the process of זריעה, ZRA ,YH, which means seed of YH. This is the secret of the “Crane” חסידה, bringing the child from above to the parents below. Zohar -59 - Letters of Creation Zohar -61 - Holy Tabernacle, Holy Body, what a system?